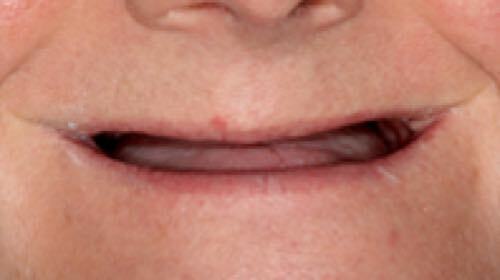 Full implant teeth using All-On-4. If you have fully or mostly missing teeth, or terminal teeth, you may be suffering from difficulty with eating, speaking, or socialising due to be conscious about your smile. With modern dentistry innovations, you now have access to safe, reliable and comfortable options for full teeth replacement. If you are looking into full implant teeth, then we can offer you a customised treatment plan aimed at achieving a result suitable for your jaws, and aesthetics that suit your face and personality, in our state-of-the-art clinic in Subiaco, close to the Perth CBD. 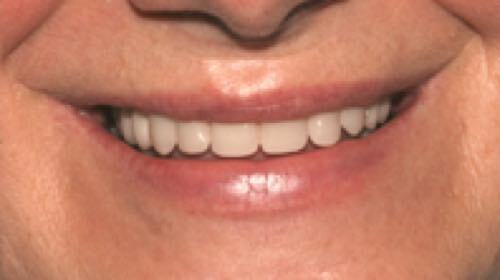 A full teeth replacement using implants can be based on conventional implants supporting implant crowns and bridges. This can often require additional oral surgery such as a bone grafting or sinus lifting if there is not enough bone for implants, or soft tissue (gum) augmentation to create the right support and display of gums around the implants. That is because with conventional methods, implants need to be lined up in the exact position of the teeth that they are to support. 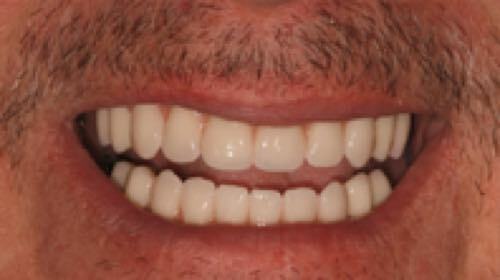 A modern, widely recognised, and popular treatment alternative for full implant teeth, is the All-On-4 implants method, which generally avoids any need for multiple surgeries or grafting, by placing implants in the deeper area of thicker, stronger jaw bone, to support the missing teeth and gums on an implant prosthesis. 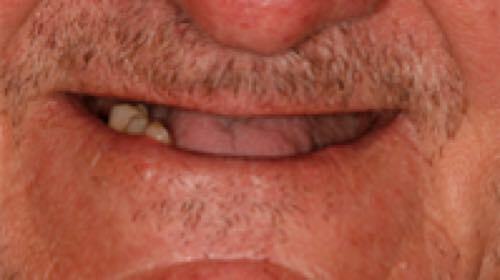 All-On-4 is a full teeth replacement procedure using the support of four implants. It gives you permanent new teeth, so you can get rid of problem dentures, or heavily/hopelessly diseased teeth in just one procedure. A lower cost solution for full arch implant teeth replacement is with dental implants that support a removable prosthesis, making it fully stable, reliable and functional in the mouth. This can be a great solution for denture wearers who want a way to best secure their dentures, and is called implant denture stabilisation. 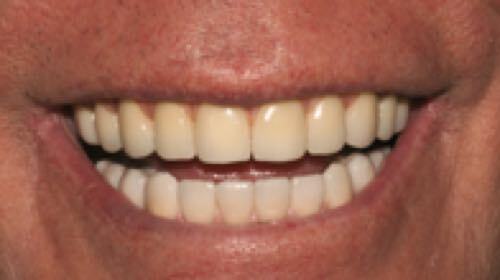 Why get a full teeth replacement? If you have a failing dentition (all heavily diseased or infected teeth and gums), then a “big picture” solution with implants may be wiser and more cost effective in the long run, than continual patch up dentistry and “one-by-one” tooth removals. If you have multiple or fully missing teeth, then you may be suffering from jaw bone shrinkage over time. Even as you use your removable dentures, the loss of bone mass will progress because there are no natural teeth stimulating the jaw bone. 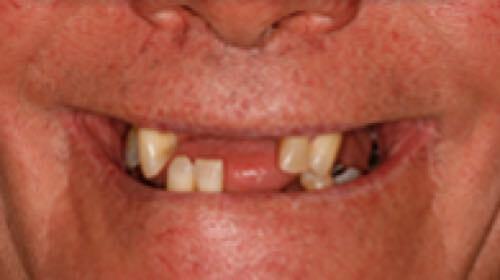 This bone atrophy, in the long run, makes it more difficult or almost impossible to benefit from conventional implant teeth. Bone grafting is then used, to add more bone mass, preparing you for dental implants. It is wiser where possible, to preserve the remaining jaw bone and optimise your dental implant options before removing teeth, or soon after. We perform a lot of immediate implant replacements and bone preservation methods to prevent jaw shrinkage, and recommend that you consult us before removing teeth in most cases. However, in cases where there is already advanced bone loss or shrinkage, innovations in All-On-4 and Zygoma implants can be used, to compensate for the loss of bone mass and still allow for immediate teeth replacement. This now makes it possible to get new teeth immediately, even in conditions where it would have required bone grafting for conventional implants. At All-On-4 Clinic Perth we have developed a particular expertise in complex dentistry and full teeth replacement. Our Principal, Dr Misagh Habibi, performs only oral (dento-alveolar, perio-plastic and implant surgery) procedures and implant teeth replacements on a daily basis, receiving referral from other dentists for implants. See a dentist for whom implant treatment is their area of practice, not just an occasional procedure. Call our friendly reception team today, to discuss the options for your full teeth replacement at Perth’s official All-On-4 Clinic, Complete Implant & Sedation Dentistry in Subiaco.